Boys are finally reunited with their families. 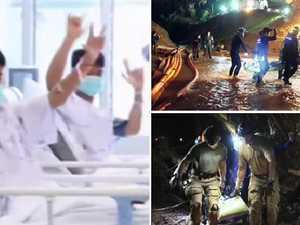 News Anaesthetist Dr Richard Harris will be among nine Australians who will receive medals from the Governor-General for their role in the Thai cave rescue. Opinion WELL done, world. We were handed an extraordinary display of humanity and turned it into a story into another carnival of hate. 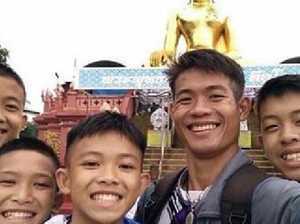 News THE 12 Thai soccer boys and their coach who were trapped in a cave for two weeks have told media about their extraordinary ordeal.